I’ve used wood slices in a couple of my Christmas crafts this year. They formed the base for both my lovely felt Christmas trees and my cute dinosaur Christmas cloche. This time I decided to make a wood slice ornament. 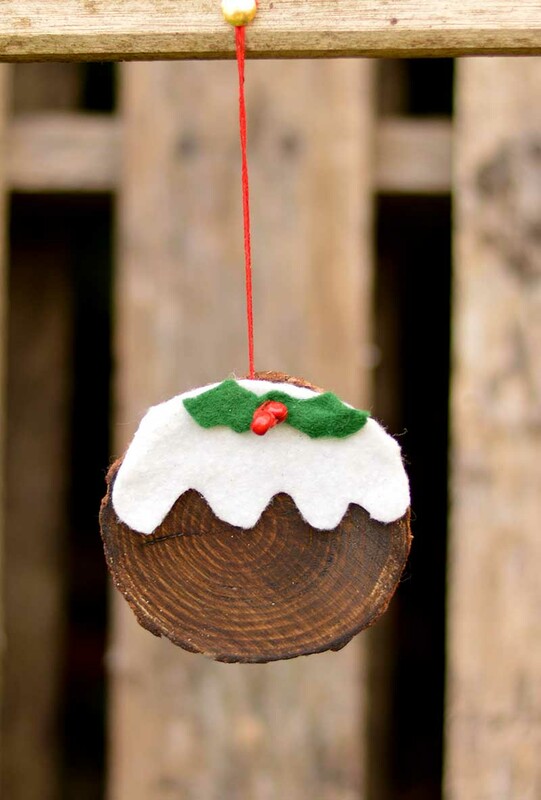 Because of their round fat shape, I thought a wood slice would make a perfect Christmas pudding ornament. After the Turkey, I think the Christmas pudding is the second most famous element of a typical British Christmas dinner. I wasn’t a huge fan of the Christmas pudding as a child and only ate it in the hope I would find one of the coins my mother hid in it. However, as I’ve got older I’ve learned to appreciate the Christmas pudding as long as it’s served with lashings of brandy butter. I’m not sure where else in the world they eat Christmas pudding. Is it part of your Christmas meal? 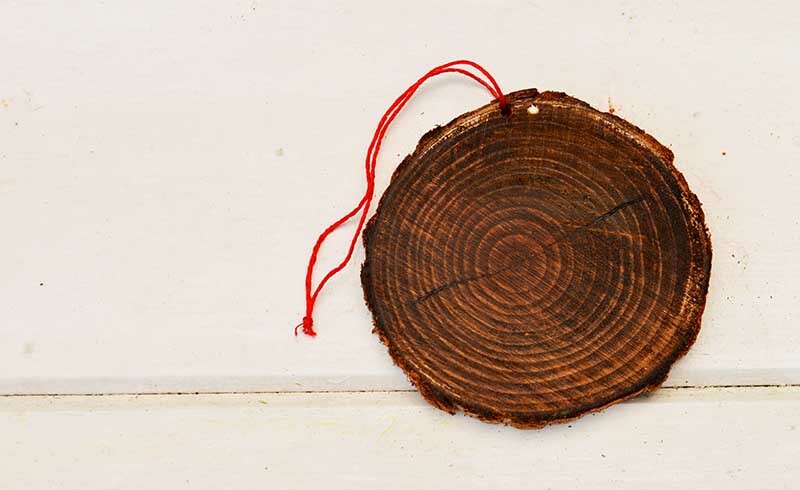 Wood slice – If you can’t make your own you can buy them online. Firstly colour the wood slice a dark brown. I used some dark furniture wax I already had as you can still see the rings in the wood after staining. You can of course just use some brown paint. Next drill a hole in the top of the wood slice as close to the edge as possible so that you have somewhere to hang it from. Using the cream/white felt cut out a piece to fit the top of the wood slice so it looks like the cream dripping down the top. 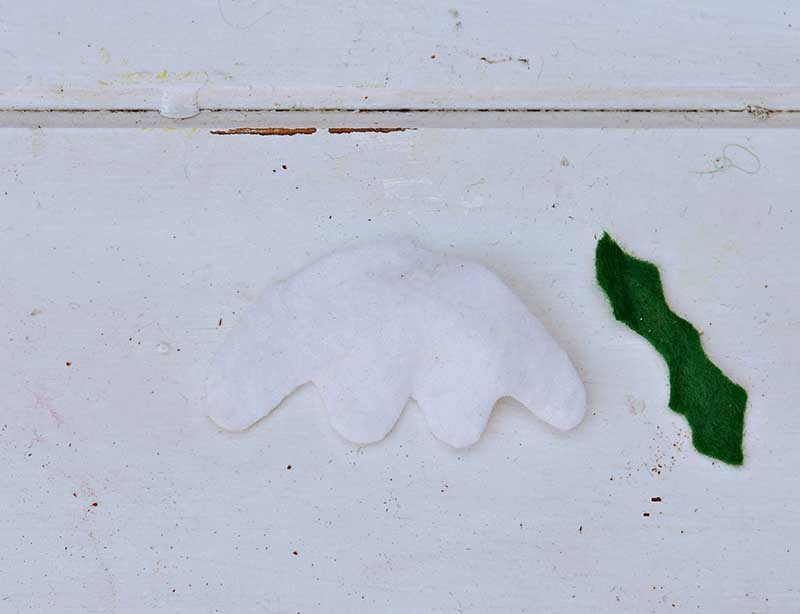 Fold a small strip of green felt in half and then cut out a small holy leaf shape. Then as the felt is unfolded there will be 2 identical leaves. Stitch or glue 2 red beads to the holy leaves so they look like red berries. 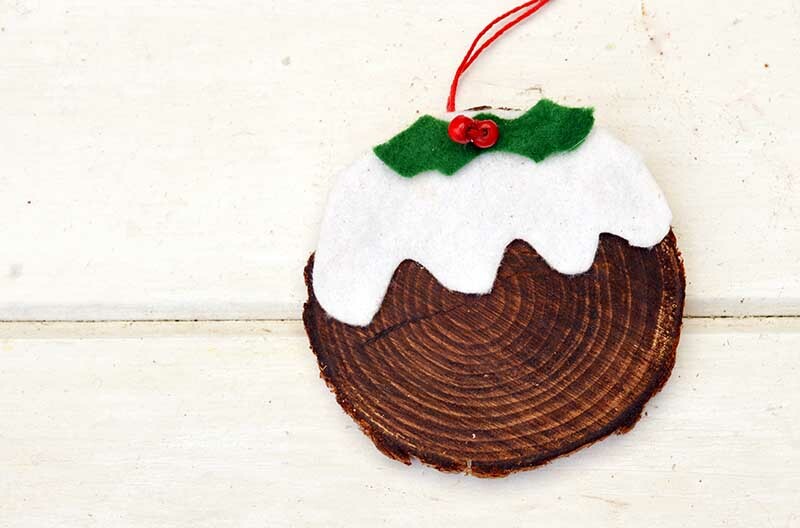 To finish of the Christmas pudding decoration glue the cream felt to the wood slice. Then glue the holy and berries to the cream felt. 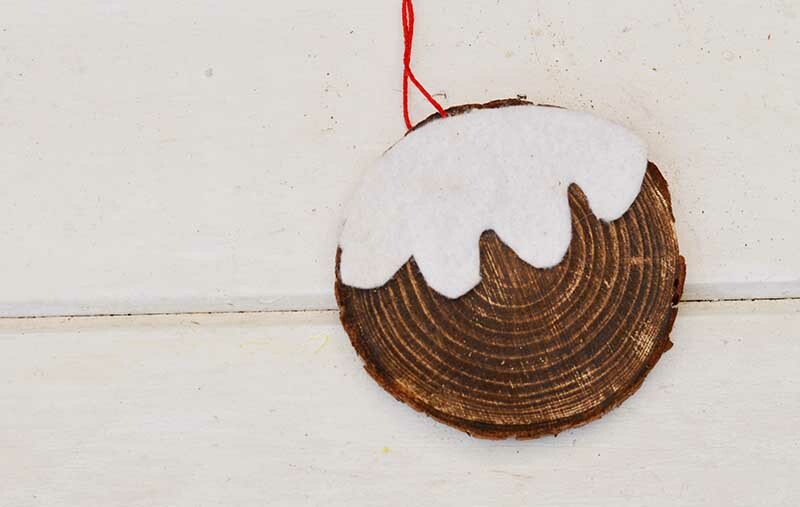 Now all there is left to do is to decide where you are going to hang your wood slice ornament. 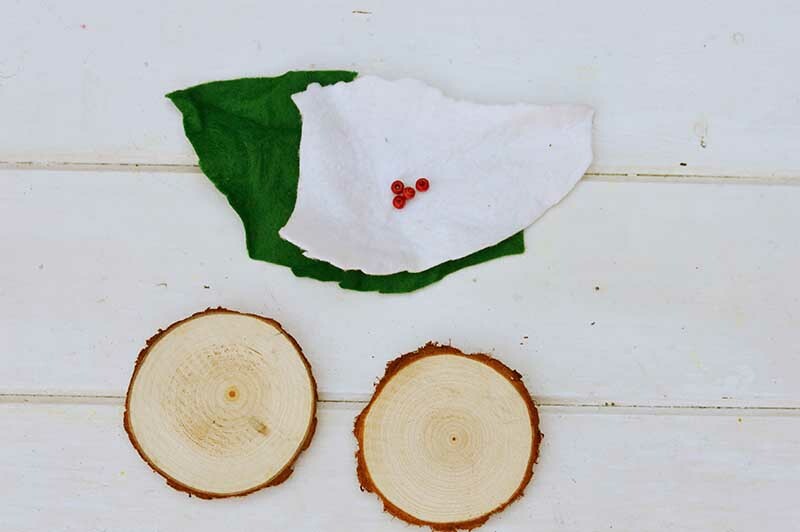 These wood slice ornaments are so quick and easy to make, you could make several at once and actually use some of them as Christmas present tags. For more Christmas ornament ideas you should check out allfreechristmascrafts. Thank you, Andy I’ll be there. Aww, these look so festive and cute Claire! Glad to know where I can get the wood slices. It looks so realistic. I don’t think I’ve ever had “Christmas Pudding,” but I’d like to try it. Thank you, Florence. Christmas pudding is like a very rich steamed fruit cake. I LOVE Christmas pudding with Brandy Butter, I always buy a large size one so that we can have plenty of leftovers. 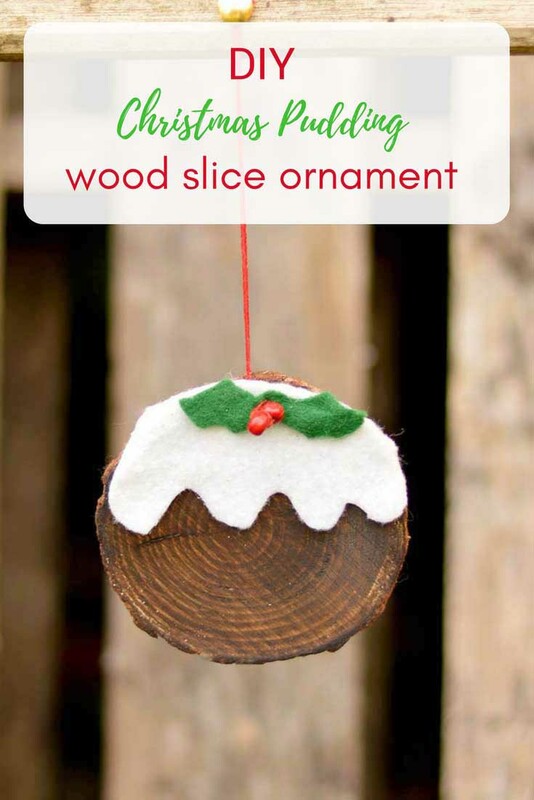 These are such a fun way to use a wood slice. Thank you, Julie. I actually like mine with ice cream, but there again I like most things with ice cream. Thank you Julie. I actually like mine with ice cream, mind you I like most things with ice cream. What a cute and clever project.Thank you for sharing!